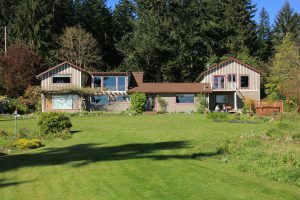 Simply click each category below to see a complete list of available lodging on North Whidbey (Oak harbor, Deception Pass) in that category. North Whidbey’s Highlights include Deception Pass, Oak Harbor, Joseph Whidbey State Park, and NAS Whidbey. 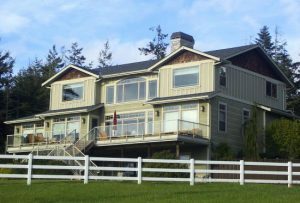 The Bluff on Whidbey provides a secluded and private retreat with views of the mountains, ocean bay, and country garden. Enjoy the tranquility of island life sitting in the hot tub on a chilly clear night, or lying in the hammock on a hot summer’s day. Either way, the view is incredible! 2 rooms – Kids are welcome. 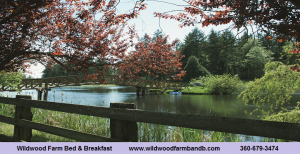 We offer the perfect get-away from the stress and grind of busy life and immerse you in the gentle ambiance and tranquility of a horse farm and the bond that only horses can offer. We’re perfect for experienced riders and newbies. Bring your horse or ride ours! Pets allowed in the bunkhouse only.